Topline: The entry-level Scrambler has new safety tech, new convenience tech, and a modestly revised aesthetic keeping it fresh for 2019. What’s New: Falling short of heralding a whole new generation of Scrambler, the bike gets a fairly thorough mid-cycle refresh for 2019. The Scrambler Icon receives a new headlight with LED daytime running lights and a stylish “X” in the middle of it as a throwback to old race tape. The aluminum panels on the sides of the tank are different and, apparently, interchangeable so you can swap them out like a cell phone case depending on your mood that day. A few other aesthetic upgrades include new 10-spoke wheels, a blacked-out engine with brushed aluminum fins, and a slightly flatter seat. That new seat claims to be more comfortable, and an improved suspension has helped boost the bike's ergonomics overall. It looks like Ducati tried to make the Scrambler Icon a little more accommodating for a passenger than the outgoing model. The most interesting updates to the 2019 Ducati Scrambler Icon are technological. The Scrambler now comes standard with Bosch cornering ABS, which Ducati has been talking about putting in all of its bikes. Apparently they’re serious about it because now it’s standard on one of the brand's most affordable models. There’s also a big upgrade to the digital gauge cluster, which remains delightfully minimalist. Previously lacking in features, the Scrambler Icon’s gauge pod now comes standard with two things that should come standard on every street bike: a fuel gauge and a gear indicator. No more relying on the trip meter to figure out how much fuel you have left. It also has an available Bluetooth module to link up your phone for music, answering calls, and even reading text messages on that little screen. Bluetooth is probably only useful on the Scrambler if you have a Bluetooth headset in your helmet that you use regularly. The Scrambler continues to be powered by the 803cc L-twin engine making 73 horsepower and 49 lb-ft of torque, and both numbers appear to be unchanged for 2019. There’s no word on price yet for the 2019 Ducati Scrambler Icon, but we expect it to continue coming in under the $9,000 mark. 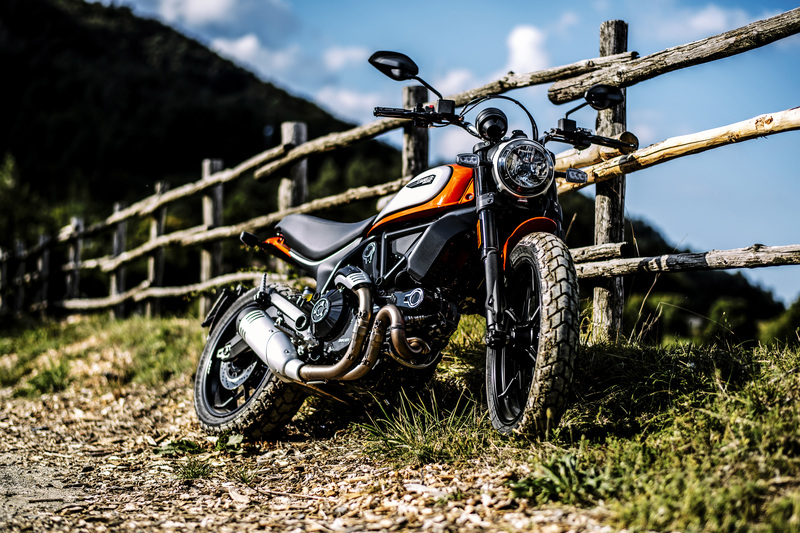 What You Need to Know: The Ducati Scrambler has been a massive success having sold more than 55,000 units worldwide since it came out in 2014 making Ducati less of a niche brand and more of a—dare we say—volume brand. 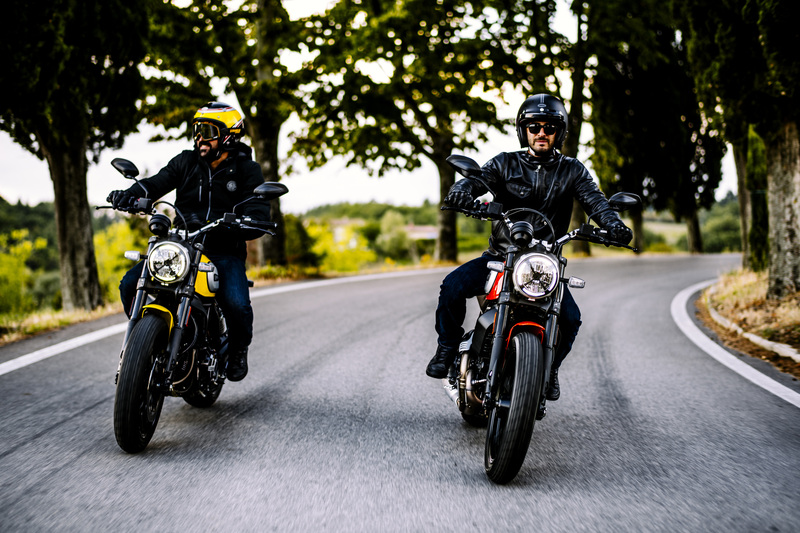 Ducati has done a nice job taking the beloved Scrambler and making it a little more modern, keeping it competitive with the likes of the Triumph Street Scrambler and BMW R nineT. We wouldn’t be surprised to see details on more 2019 variants of the bike coming out soon with similar updates. Ducati teamed up with Roland Sands Design on this retro-modern bike. One of the inspirations for the bike is “street food.” Nope. Just, no.